Angel Soft Bath Tissue Only $0.21 per Regular Roll Shipped! 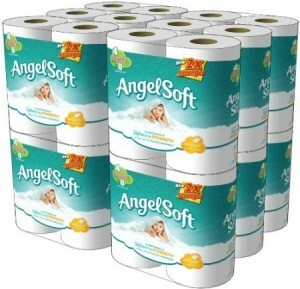 Right now at Amazon, you can get 48 double rolls of Angel Soft for only $20.50 shipped! This is a great stock up price for this brand! 48 double rolls equals 96 regular rolls. After the two discounts, you be paying just $0.21 per regular roll!